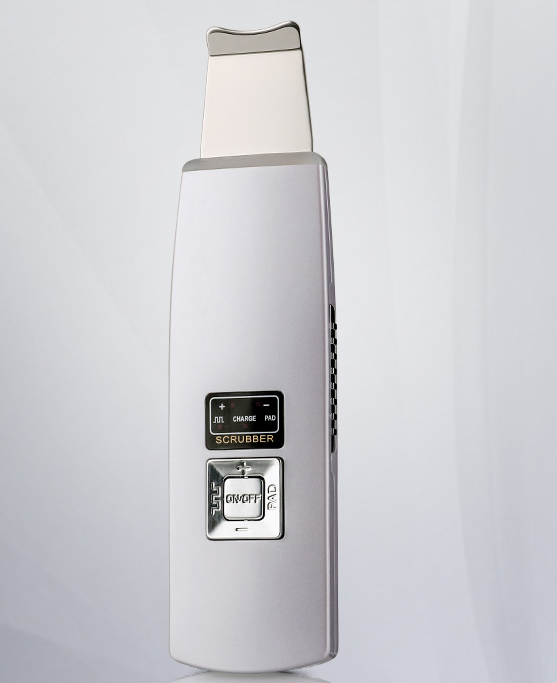 The Merope ultrasonic shovel instrument has a freckle removing and shiny skin instrument with high frequency oscillation of supersonic wave, which can make the skin cells vibrate, soften the tissue, remove the aging horniness and obstruct the pore oil scale and residual makeup, make the excess oil discharged, not easily long acne and acne, by the high frequency of supersonic wave. Energy conversion, improve the loop of local blood and lymph, enhance the interface activity of the product, decompose the pigment in the pigmented area, desalination the black spot, improve the metabolism and regenerative ability of the tissue, enhance the permeability of the fine pores, and make the skin rich in gloss and elasticity. The instrument is connected to the power supply, and the POWER key of the instrument is started by applying toner or lotion to the operation part. Can adjust high grade / low grade, take 45 degrees to move forward slowly, repeat 2~3 times in the same part, face about 3 minutes, and increase or decrease the size of other parts as appropriate. After the deep cleansing, the wrinkled skin care products are put on the desired position, starting the key of the instrument, adjusting the high grade / low-grade, and then putting the probe on the skin, and moving slowly for about 5 minutes (do not pressure) to turn off the machine (do not need to be cleaned). After the deep cleaning, the skin care products of the freckle are put on the part of the desired operation, the key to start the instrument, the high grade / low grade, and then the probe of the instrument on the skin, so as to slow down the 3~5 minutes by the way of the circle.